Sam Hilmer started growing grapes and making wine here twenty years ago. He has often toyed with the idea moving somewhere with a climate more hospitable to grapes, but he is addicted to the idea of making wine from this land, the land of his grandfather and great-grandfather. Sam has always been a farmer first, and a vigneron second. In addition to wine grapes, he grows vegetables, brambles, and tree fruit. He is also a chef. Claverach Farm is a rugged piece of ground in the first hills of the Ozark Mountains as you travel southwest from St. Louis, Missouri. We are nestled right up against the Meramec River, a tributary of the Mississippi River. Our soils are very high in limestone. 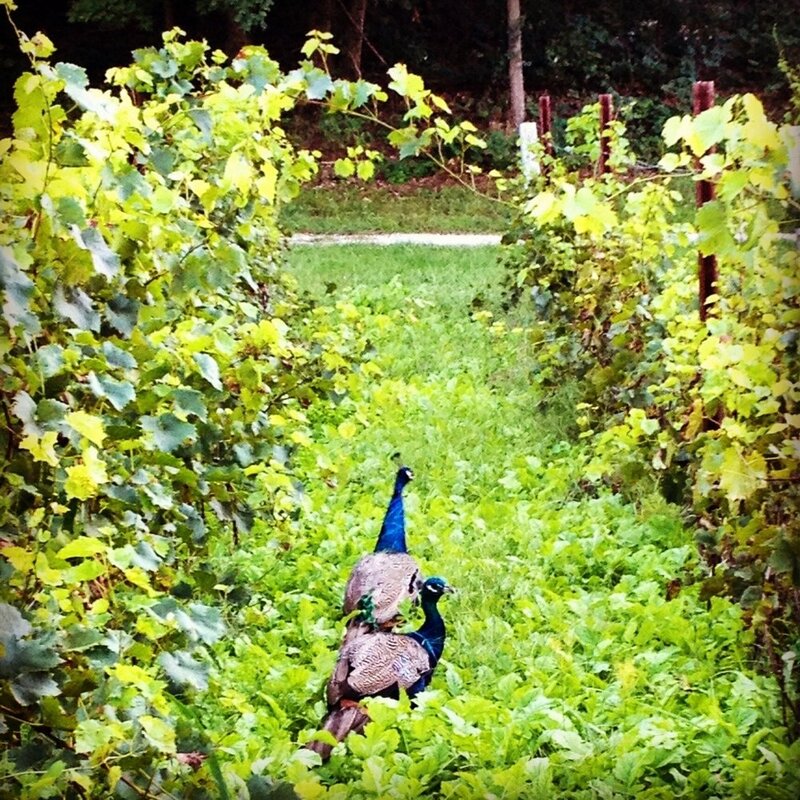 We grow Bianca, Cabernet Franc, Cabernet Sauvignon, Chambourcin, Malbec, Marsanne, Petit Manseng, and Viognier. We grow grapes very differently from most midwestern vineyards. Most vineyards in the Midwest like to grow grapes very spread apart and on flat ground, because when you do so, you can do all of the work with big machines. You can mechanically prune, mechannically cultivate, mechanically spray, and even mechanically harvest. Instead, we grow grapes much more in the style of European vineyards, at very high density and often on steep slopes. The trade-off is that very little of our work can be done with machines - we do most of it by hand. 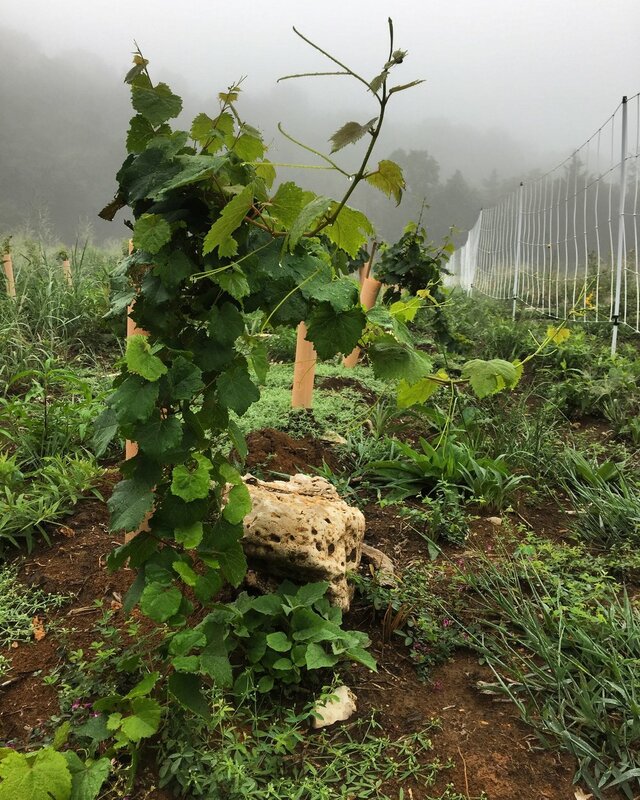 Another way we differ from most midwestern vineyards is that we are foolish enough to grow vinifera, i.e., European wine grapes. Most midwestern vineyards grow hybrids. The hybrid grapes have been bred to tolerate cold winter temperatures and intense disease pressure during the growing season. Here in the Midwest, we get very cold in the winter and we also have lots of rain and heat during the growing season. What comes along with rain and heat is humidity, and humidity leads to a lot of fungal disease e.g, mold, mildew, and rot. But what the traditional hybrid grapes have in vigor, they often lack in flavor, which is one reason why midwestern wine is generally low quality. 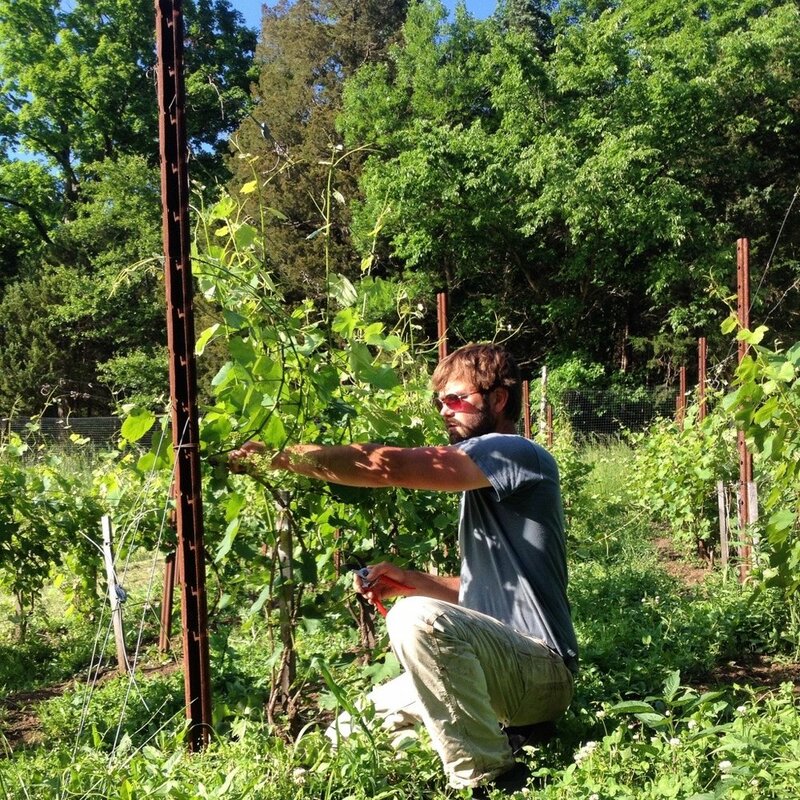 Questionable farming practices also contribute to the poor quality of midwestern wine, because overuse of herbicides, pesticides, and fungicides tarnish the aromatics of the wine. Mechanical harvesting in a humid climate also means that all of the rotten grapes go in the fermenter right along with the clean grapes, so most midwestern wineries need to add sugar and overly manipulate the wine to make a sellable product. We are more inspired by quality and flavor, so that's why we struggle to grow European varieties and practice sustainable farming here. This is definitely a passion project for us. Sam believes in minimal intervention in the cellar. The goal is to bring in perfectly ripe, clean fruit so that the wines can essentially make themselves. Wines are fermented using native yeasts. They are all unfined and unfiltered, with minimal sulfite additions. Sam strives to capture the freshness of the wine. He gravitates towards lighter, elegant styles that are meant to be enjoyed young. Wine is an agricultural product and, as such, is often subject to the same chemical manipulation and technological trickery as processed foods. Grapes are difficult to grow. They are very susceptible to pests and disease. Because of their sensitivity, grapes are the second most sprayed crop, meaning that they are often loaded with toxic chemicals. There are over 100 additives that are legally allowed in wine, including sulfites, genetically modified ‘designer’ yeast, animal-derived ingredients, and plastic fining agents such as PVPP that are often used to strip color from rosés. Natural wine, on the other hand, is made without the use of harmful chemicals and additives, both in the field and in the cellar. The grapes are often grown organically or biodynamically. In the cellar, the wine is fermented naturally, with native yeasts and minimal chemical intervention. Natural wines are often made without added sulfites or with minuscule amounts. In a nut shell, natural wines are grape juice and little else! 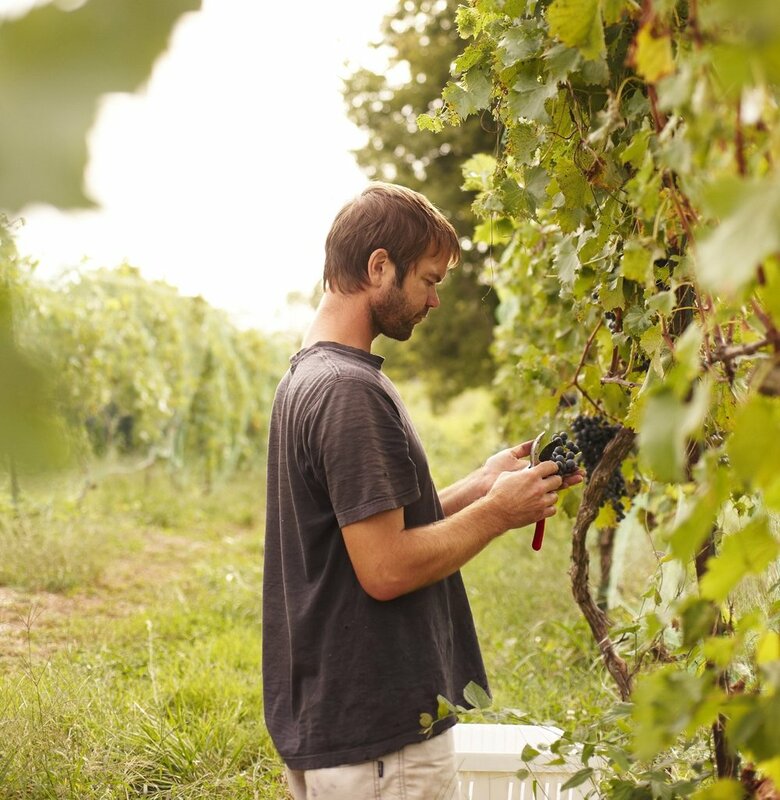 Claverach Farm is one of the only midwestern wineries committed to making natural wines. The farm is not open to the public. We do occasionally schedule wine tasting events for groups of 20 and over (approximately $50/person). Email claverachevents@gmail.com if you are interested in scheduling a wine tasting event.